Human Rights: Every Language. . 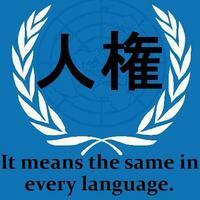 Images in the Human Rights club tagged: human rights icon multilingual un logo japanese.